DAVOS, Switzerland (Reuters) - Angela Merkel was missing from Davos this year, but the German leader's optimistic mantra "we can do this" echoed through the snowy resort in the Swiss Alps. China's economic slowdown? Manageable. Plunging financial markets? Temporary. And Europe's refugee crisis? A big challenge, but one which will ultimately push the bloc's members closer together, audiences were told over and over again. 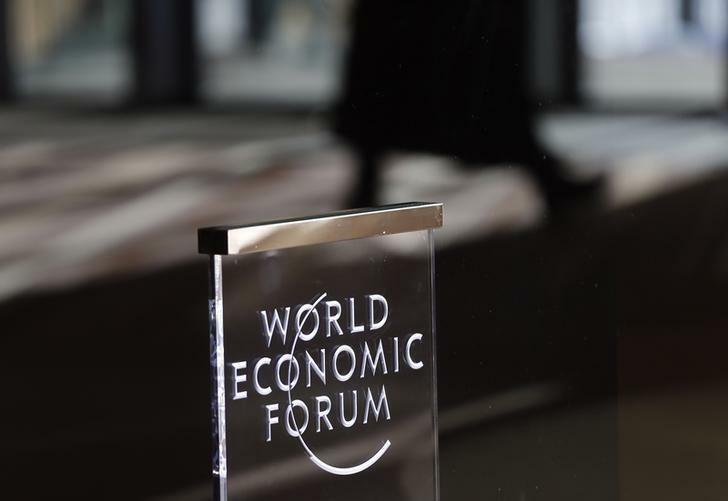 Beneath the veneer of can-do optimism at the World Economic Forum, however, was a creeping concern that the politicians, diplomats and central bankers who flock each year to this gathering of the global elite are at the mercy of geopolitical and economic forces beyond their control. At the top of the lengthy list of worries was Europe, whose policymakers remain deeply divided in their approach to the refugee crisis at a time when the bloc faces a host of other threats, from Islamic extremism and the rise of far-right populists, to a possible British exit from the European Union. "You've had deadly crises in Europe from day one and we've overcome them. However we always had one crisis at a time. Today we have about five, from Brexit to ISIS and everything in between," said Josef Joffe, the publisher-editor of German weekly Die Zeit. "In the past we had leadership. Today we are facing overwhelming demands on leadership and we are delivering less of it," he added. Amid the reassuring messages on the refugee crisis, came stark warnings from people like IMF chief Christine Lagarde that Europe faced a "make or break" moment. Dutch Prime Minister Mark Rutte and his Swedish counterpart Stefan Lofven gave the bloc 6-8 weeks to get its act together. And frustration boiled over after Austria became the latest country in Europe's Schengen passport-free travel zone to unveil unilateral steps at the border to stem the tide. "There is no way you can cope with such a massive flow of people just by closing the borders," said the EU's top diplomat Frederica Mogherini. "What do you do? You close the border and it's your neighbor's problem, who closes the border, and it's the other neighbor's problem?" On the economic front, there was also a growing sense of policymaker impotence. Last January, in a bold sign of policy activism, the European Central Bank unveiled its hotly anticipated stimulus, or quantitative easing (QE), program in a bid to kick-start growth and inflation in a euro zone still reeling from financial turmoil and breakup fears. A year later, despite Mario Draghi's assertion that the bank still has "plenty of instruments" at its disposal, the consensus in Davos was that it has now used up all its monetary ammunition and that politicians have failed to use the time the ECB bought them to implement economic reforms at home. Meanwhile growth remains subdued and inflation close to zero. "We understand that there may be no limit to what the ECB is willing to do but there's a very clear limit to what the ECB can and will achieve," chairman of Swiss bank UBS and former Bundesbank chief Axel Weber said after Draghi signaled yet more monetary easing. The central theme of this year's meeting was the "Fourth Industrial Revolution" -- the idea that technological advances will allow ever greater levels of automation, transforming the global economy in profound ways. But in a sobering report on the implications of these advances, UBS said they were likely to increase inequality across the globe, and the authors expressed scepticism about whether politicians could put a halt to this trend. At a lunch entitled "The End of Political Consensus", there was broad agreement that rising inequality, and the sense that elites were only looking out for themselves, was fuelling more and more resentment of established politicians, and giving rise to a tide of populism -- in the form of politicians like Donald Trump and France's Marine Le Pen. However the attendees, including Harvard historian Niall Ferguson and former European Commission President Jose Manuel Barroso, had few answers about how to combat this trend beyond more responsible leadership. "We are witnessing the decay of power," Moises Naim of the Carnegie Endowment for International Peace told the audience. "The view is that anything is better than the people in power." On the positive side, there was optimism that the Chinese economy was heading for a soft rather than a hard landing, despite the struggles of policymakers there to manage the shift to lower growth rates. And few doomsayers thought that what Credit Suisse CEO Tidjane Thiam described in the final session on Saturday as "the worst start to any year on record in financial markets ever" was a harbinger of another global financial crisis. The optimists pointed to the climate deal struck in Paris in December as a sign of what policymakers can still do at a global level when they put their minds to it. But building on the momentum from that deal looks tougher than ever. In her outlook for 2016, Citi's global political analyst Tina Fordham, said geopolitical risks looked more acute than they have in decades, pointing to the refugee crisis as the challenge "where everything converges". "Not even Angela Merkel has the capacity to make all of this work," she said.